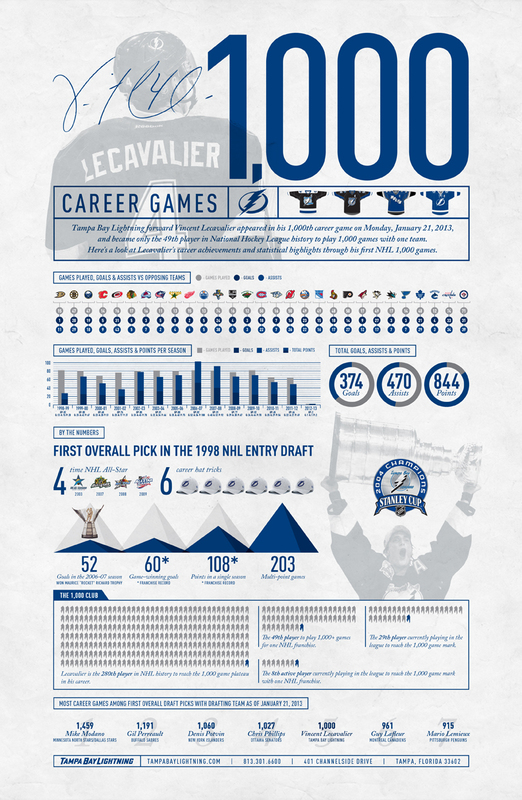 This past Monday, our favourite sun-tanned Florida athlete, Vinny Lecavalier hit the 1000 games played mark in the NHL and became just the 49th player in league history to do so with one team. He's had quite the roller coaster career in Tampa Bay after being selected 1st overall by them in 1998 and his on-ice success is definitely worth celebrating. 1998 - Lecavalier is drafted first overall and dubbed the "Michael Jordan of hockey" by the Lightning owner. Talk about putting pressure on a kid. 2000 - After two seasons, Lecavalier is named captain of the Lightning and becomes the youngest captain in NHL history at age 19 and 314 days. He's since been passed by Sidney Crosby and Gabriel Landeskog. 2001 - After one season as captain, Lecavalier is stripped of the captaincy by head coach, John Tortorella. Apparently he clashed with Tortorella more than a few times. Someone feuding with Torts? No way. 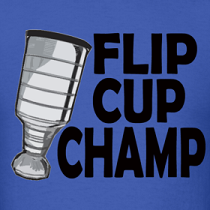 2004 - Lecavalier wins the Stanley Cup with the Lightning and his fight with Jarome Iginla in game three of the Cup Finals is legendary. 2005 - Lecavalier appears on the cover of EA Sports NHL 06. 2005 - Vincent Lecavalier hits the big screen and appears as Jean Beliveau in The Rocket: The Maurice Richard Story. 2007 - Vinny wins the Maurice Richard Trophy as the top goal scorer with 52 goals. 2008 - Lecavalier re-ups with Tampa on an 11-year, $85M contract extension that see's him paid until the 2019-20 season presumably making him a Bolt for life. 2008 - After signing his contract extension, Lecavalier is renamed the captain of the Lightning. 2009 - Rumours start of a trade that would send Vinny to his hometown Montreal Canadiens. For some reason Habs fans give Vinny a standing ovation at the All-Star Game thinking that will make a trade happen. The best tanned player in the NHL of all time.